Car and Truck Drivers– Most of us still drive cars and trucks with internal combustion engines that rely on fossil fuels. These systems are cleaner today than in the past, but with increasing population cars contribute significant pollution that causes both air and water quality challenges. The air pollution has an impact on the environment and our health. The air contaminants that are eventually deposited on the ground wash off into our streams resulting in algal blooms, as well as acidification of our land and oceans. We can all help reduce these impacts by driving less and driving hybrids or electric vehicles. Fossil Fuel Driven Power Plants– A large amount of the electricity used in the United States comes from the burning of coal, oil, and natural gas. Some of the exhaust from these plants is scrubbed before being emitted into the air, but there is still a great deal of pollutants emitted by these facilities. We can all help to reduce this pollution of our air and water by reducing the amount of electricity we use in our homes and offices by improving energy efficiency, insulating our buildings, and turning off lights and appliances that are not being used. We can also support alternative, clean energy sources of electricity by buying our electricity from wind and solar firms such as Green Mountain, Inspire, etc. Landowners– Whether you have a small backyard or a large farm, storms regularly wash away soil, fertilizer, oil and grease, animal wastes, and all the other residues of day to day life. Many farmers have developed best practices and extensive conservation plans to reduce this runoff. We all can help by reducing the amount of fertilizer we apply, installing systems like rain gardens that help capture the rain fall and allow it to filter into the ground, and planting crops, shrubs, or trees that keep the soils from washing away. Flushers– All of us flush water and contaminants down our sinks and toilets. Even though we have sewage treatment plants, they do not remove all of the contaminants. Help them out by never putting grease, medicines, or other chemicals down your drains or toilets. Consumers– Trash is one of our biggest challenges. As our population grows, where are we going to put all the trash? We can burn it and pollute the air. We can bury it and pollute the groundwater and the air. Or we can reduce the trash we generate. We can all help by not buying so much stuff and reducing the amount of packaging. We can use recyclable containers and shopping bags. We can compost our food wastes. We can reuse stuff and not just throw it away, and we can recycle. I think it should be clear. 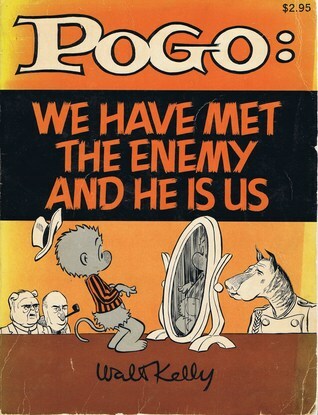 As Pogo said “We have met the enemy and he is us”. Take-a-way: In some ways it was nicer when we could just point our fingers at others and force them to pollute less. 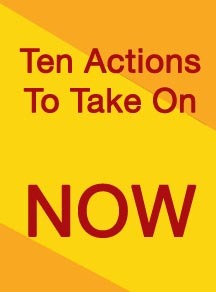 Now we each have to take action to protect ourselves from air and water pollution. Of course it is nice to know that we have some control and by simply changing our behaviors, we can positively affect the health of our communities. Thank you for all you do to help improve our world. By nedtillman2 in Backyards, Calls to action on June 3, 2015 . I agree. Thanks for getting it started.